I was looking for a place to store my motorcycle, my most prized possession! I walked in and the manager knew immediately what size I needed1 It worked out great because she found me a temp controlled unit located at the very end of the hall. She took the time to drive me to the unit and show me how to access it and that there is a security camera facing directly where my bike will be stored! I can rest easy knowing its safe and secure! On days I go for a ride I am even allowed to leave my jeep there for a couple hours and Audrey keeps an eye on it thru the window. I buy merchandise from Benco to ship products I make and sell on my Etsy website and was delighted to see Audrey as the new facility manager! The office has really been cleaned up and reorganized! U-Haul has the best packing and shipping supplies, and Audrey keeps a wide variety of useful things... I always look forward to visiting this place!! I have had a unit with Benco for several years, It was always great. I recommended benco to several of my friends even, however there has been a change in management and I'm definitely NOT IMPRESSED! As a matter of fact I have moved out of my unit and will not be back. Whatever the reason for the change in workers it was a big mistake. Customer service is bad unfriendly and unwilling to help. I had never rented a unit before so i had no idea what to expect, but it was great ...I had alot of questions and Chelle took the time to answer them all, and made me feel at ease about storing my things. the facility is very clean and seems to be pretty secure. 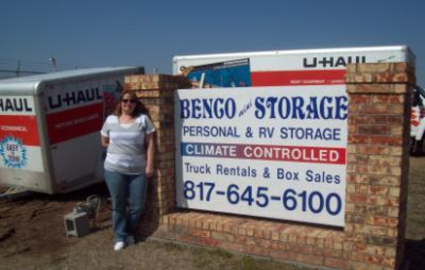 Benco Mini Storage serves Cleburne, Texas and the surrounding communities with the most convenient and affordable storage options. Our location on Nolan River Road is just minutes from major thoroughfares such as Highway 67 and Highway 174. This makes us perfect for the residents and businesses of Rio Vista, Keene, Joshua, and Godley. Stop by our office anytime Monday through Saturday for a tour! With drive-up accessible units ranging in size from 5’x5’ to 12’x30’, we’re confident you’ll find the space that works best for you. Businesses in particular love our climate-controlled storage units, although they’re also great for residential tenants with books, antiques, wine, or other sensitive items. 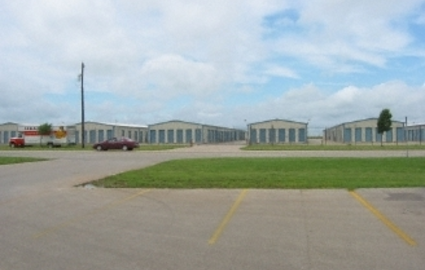 If you need to get a boat, RV, or other large vehicle off your driveway, come check out our 12’x35’ parking spaces. We keep them covered to protect them from the elements. With truck rental available onsite, your move-in will be a breeze. You can even buy boxes and other moving supplies if you find yourself running low. Access hours extend from 7 a.m. to 9 p.m. every day, and we have a 24-hour kiosk to help you make transactions when we’re not in the office. To top it all off, we make sure your belongings stay safe with controlled gate entry, perimeter fencing, and 24-hour video surveillance. Give us a call today to find the unit that’s right for you! Visit our other locations in Cleburne: Cornerstone Mini Storage on Henderson Street and Colonial Mini Storage on Colonial Drive. Are you a resident of California? 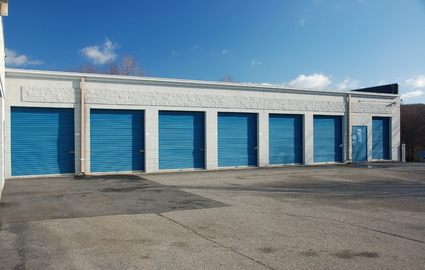 Our storage facility in Torrence is perfect for you. © 2019 Benco Mini Storage, partners and affiliates.